If your business signs in Los Angeles could talk, what would they say about you or your franchises? It’s true: letters, images and numbers can’t really talk, but they can relate a very interesting story about you. It’s important to understand what kind of message your signage is conveying, so you can be sure you are portrayed in the best possible way. Let’s take a look at some of the things signage can reveal about your business. Have you ever met someone and felt something was wrong? Chances are it was something about his or her initial appearance which turned you off. Maybe their hair was out of place.Once a first impression is made it can last forever. 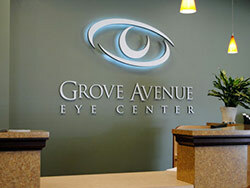 Your signs in Los Angeles need to create a positive first impression. Most business want to stress the value of “quality”, whether it is quality products or services. A sign which is poorly constructed or not properly installed can portray you in a bad light. What does a sign with problems say to the customer?It says, “This business doesn’t take care of its facility, so they mustn’t care much about quality.” Even though this message could be far from the truth, once you make a bad first impression, it’s an uphill fight to earn someone’s business. It doesn’t matter if you serve fast food or represent clients in court, professionalism is vital to success. People like to feel they are doing business with professionals. This is why businesses dress their employees in uniforms and attire consistent with their business image. However, all this work can go for naught if people are turned off by business signs in Los Angeles which say “these people are not professionals”. A hand written sign inside or outside a business is generally not a good idea. People want to enter a place of business and if it looks like a garage sale, they are not going to be impressed. In addition, a sign in need of repairs (burned out bulbs or missing letters) says that the business doesn’t have the capacity to upkeep their facilities. What Are Your Signs Saying? Los Angeles has thousands of businesses and chances are, you have a lot of competition. Does your signage welcome people and make them feel comfortable? Do you present an air of quality and professionalism? Take a good look at your business exterior and interior and if you feel something is lacking, talk to your sign professionals at Dave’s Signs. Signs are our business, and we know it well. We are here to help you every step of the way.